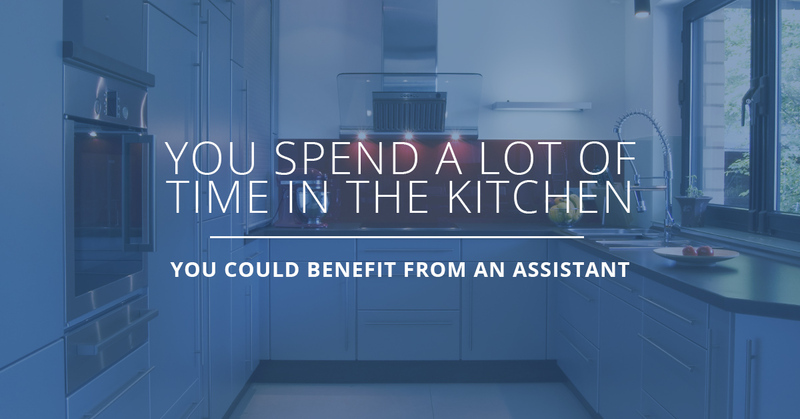 If you spend a lot of time in your kitchen, you probably get to know all of your appliances very well. You know that exact sounds your refrigerator makes when it’s ready to dump a tray of ice cubes, you are familiar with the rattle of your microwave even though it does make you a bit nervous and you know it’s time to call your oven repair specialist in Horsham when the stove makes a popping noise. Yes, you are that familiar with your kitchen appliances. If you spend that much time in the kitchen, you could benefit from owning an Amazon Echo. If you are unfamiliar, the Amazon Echo is a voice-enabled speaker assistant that can do many things to help you through your day. And if you think it is just another techno-gadget that will wind up in a junk drawer collecting dust, you might be in for a surprise. Here are a few reasons you should consider an Echo for your kitchen. Let’s start with music. When you spend as much time in the kitchen as you do, you may as well listen to some good music. You could buy a Bluetooth speaker and play music from your smartphone. This is fine, but what do you do when you want to change stations or skip a song by Nickleback but you are elbow-deep in a turkey you are stuffing? With the Echo, you simply ask Alexa, the name of the Echo assistant, to change the music. If you are tired of listening to Justin Bieber and want to hear Black Sabbath, simply say, “Alexa, play Black Sabbath.” It really is that simple. Say you are baking a pie and you have used the last of the nutmeg. With an Echo, you verbally add it to your shopping list, it’s that simple. There is no need to stop what you are doing, find a pen that actually works, find a piece of paper and write down a shopping list. Never run out of nutmeg again. If you need a cup of butter for a recipe and find you are a bit short, you can ask Alexa what you can substitute for butter. If you aren’t sure how many tablespoons equal 1/2 cup, just ask Alexa. If you are making banana bread that needs to bake for an hour, simply ask Alexa to set a timer for one hour. If you have to have the chicken in the oven at three so it will be ready in time for dinner, all you have to do is have Alexa remind you to put the chicken in at three. You will wonder how you ever got along without her. The Echo is capable of adjusting the heat in your home, opening the garage door and ordering a ride from Uber, all from the convenience of your kitchen. And when your refrigerator goes on the fritz, all you need to do is ask Alexa to find an appliance repair service.